I’m back with another post for the Crafts-U-Love design team. 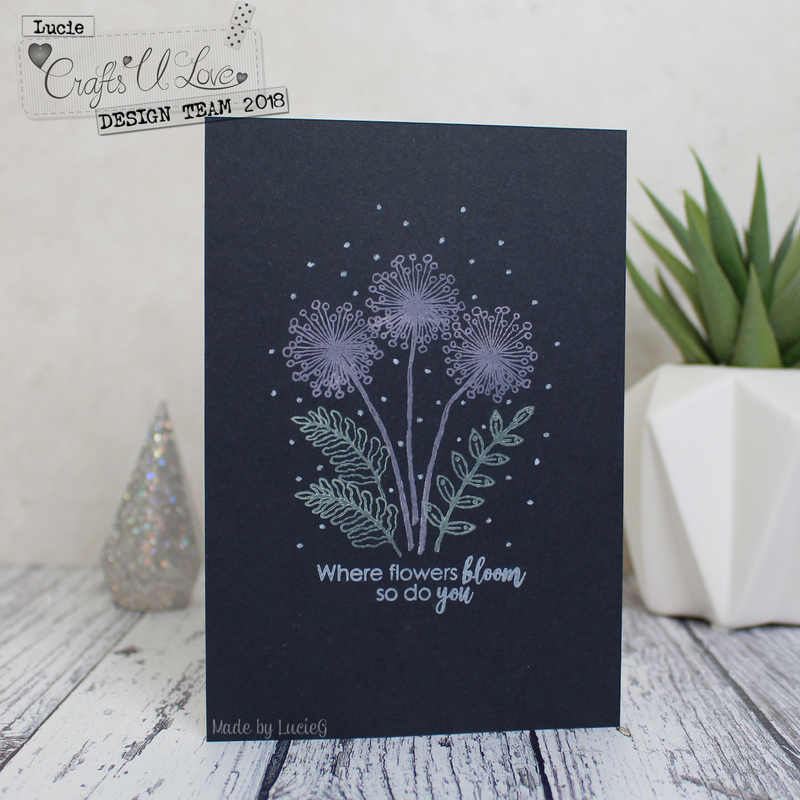 All of us are using the same set this month – the beautiful Garden Treasures set by Julie Hickey. 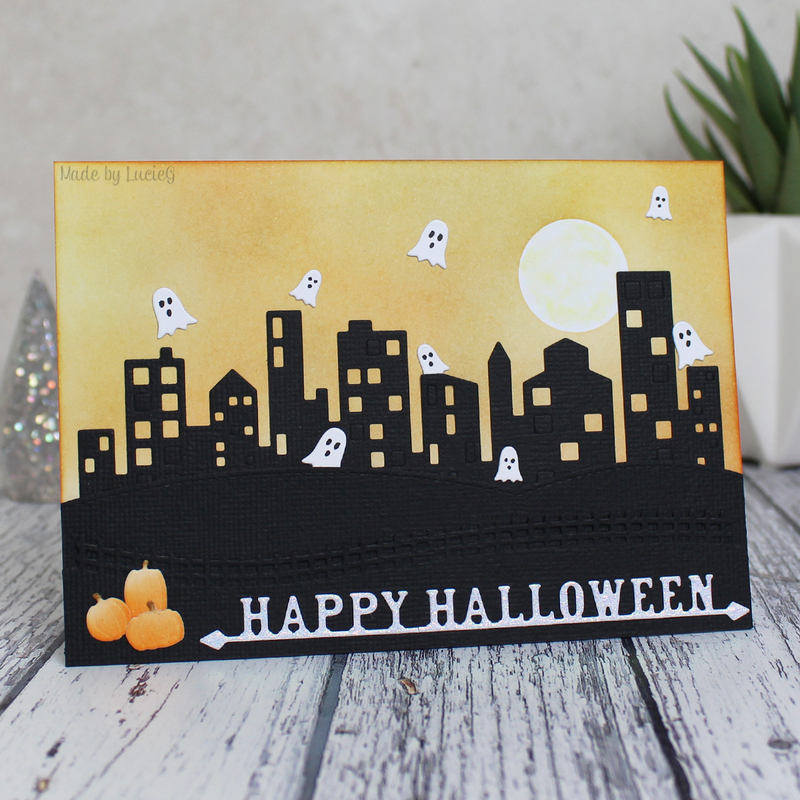 I shared the first card I made with this set on 15 October. As usual, links to my supplies are at the end of this post. This week, I made two cards using the gorgeous set. 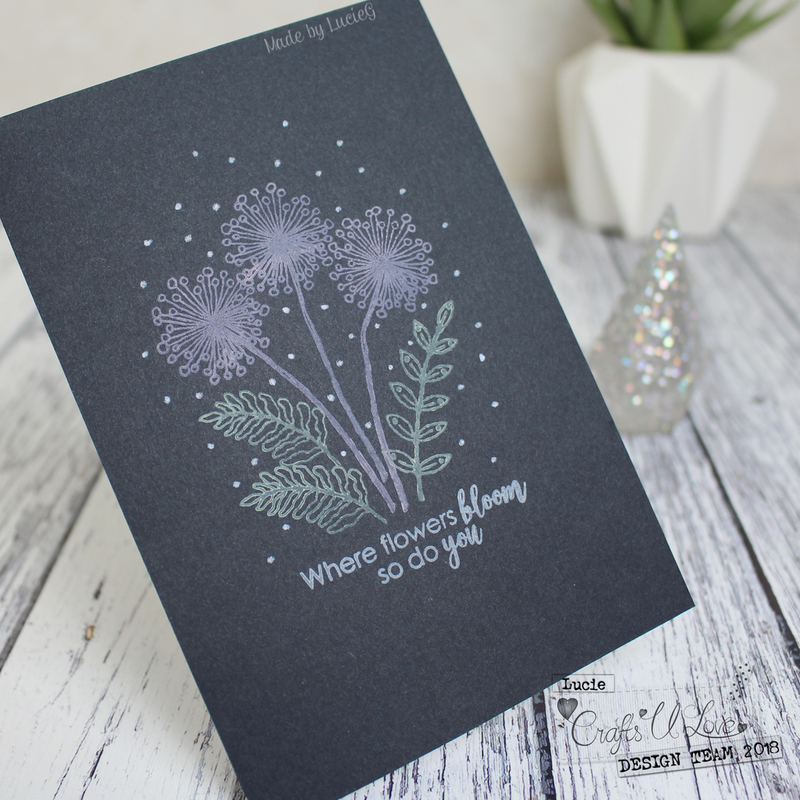 My first card was very quick to create – I stamped the images and sentiments using distress oxide inks – these inks are just so stunning on dark cardstock! To finish off the card, I added a few dots with a white pencil. 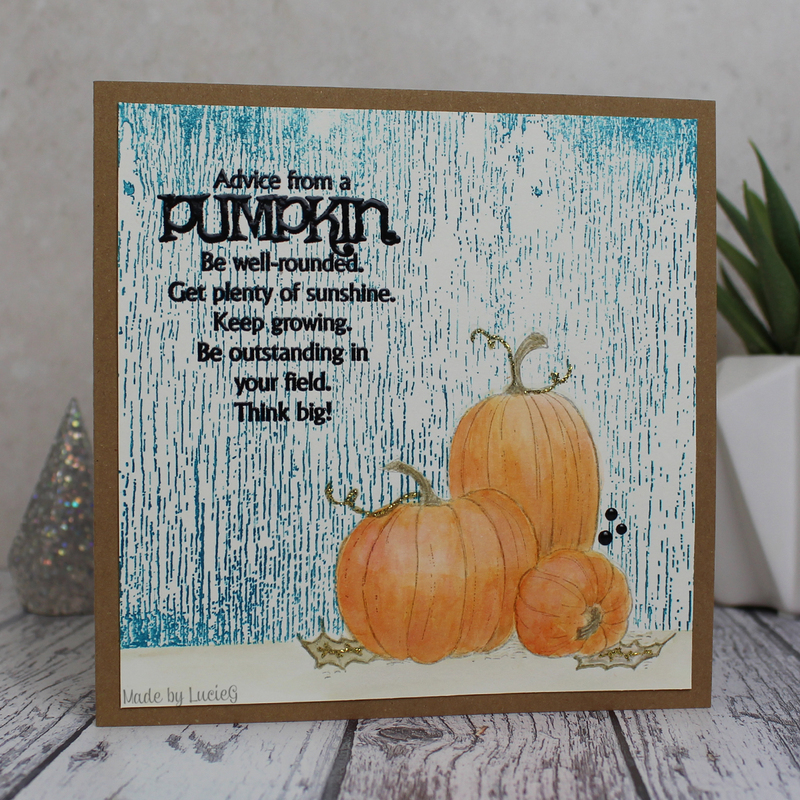 For my second card, I used distress markers and water on watercolour cardstock. I started by smooshing some blue and green ink onto the card base to create the background. Then I applied ink from the markers to the stamps, spritzed the stamps with the water and stamped to create softer images. Once I’d created a bouquet that I was happy with, I applied a light green marker to a few leaf images to create images that wouldn’t detract from the bold flowers. 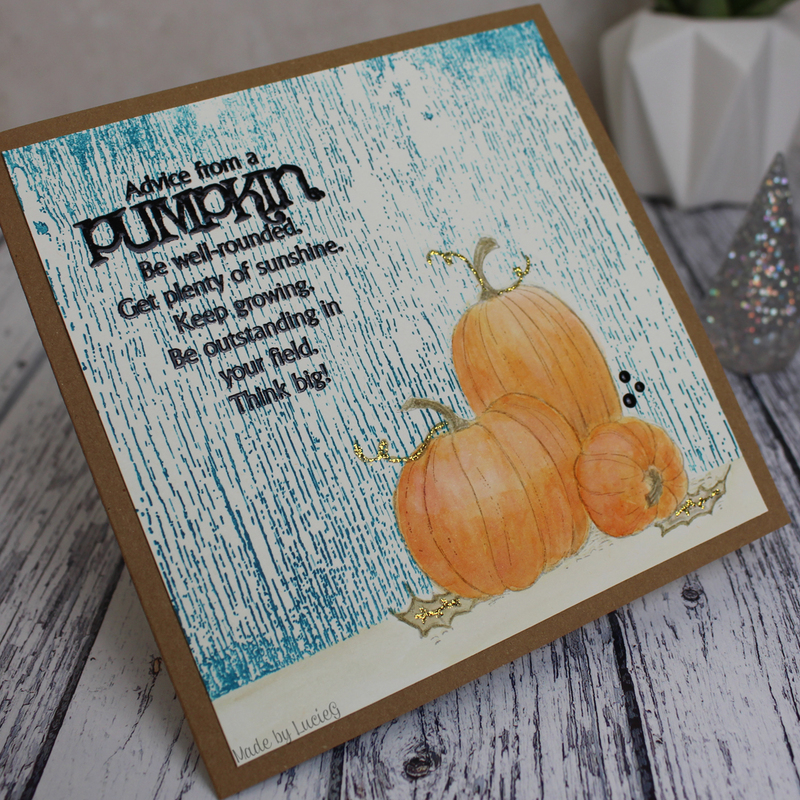 I added a sentiment stamped with distress oxide ink and cut it out using a die from the Marianne Designs Rosettes & Labels Collectables set. 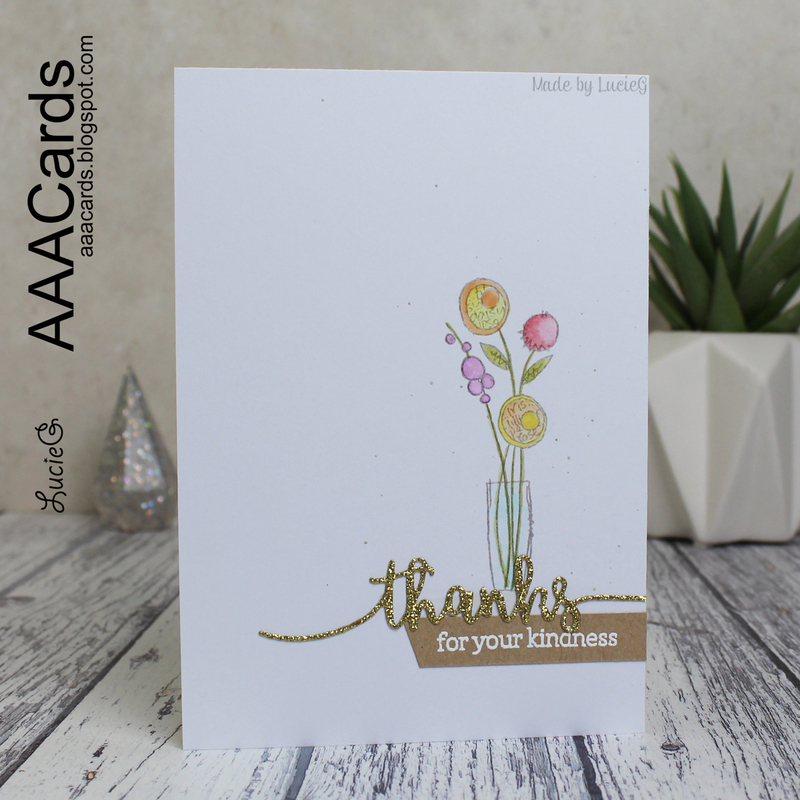 It’s time for a new challenge over at AAA Cards and this fortnight we are celebrating kindness. Stamplorations is our sponsor. Some time ago, I was sitting in the doctors’ waiting room. It was around 5.30 on a Friday night and I became aware of a phone conversation the receptionist was having. It was clear that the patient at the other end of the line had run out of vital meds and was unable to get to the surgery or pharmacy to collect a prescription. The receptionist made multiple calls but couldn’t find anyone to help before the surgery closed. In the end, she got the onsite pharmacy to make up the prescription and rang the patient to let her know that she would drop off the medication before going home. That’s kindness to me. Someone going above and beyond to help someone else and not expecting anything at all in return. Sometimes in this day and age, it’s easy to forget that these acts of kindness are actually all around us. But they are and it’s amazing how much a simple ‘thank you’ means to people like the receptionist who was just doing what she felt was right; she probably didn’t even label it at an ‘act of kindness’. So today my card honours those humble, kind souls. I stamped a PaperArtsy image and coloured it using my Twinkling H2O paints. 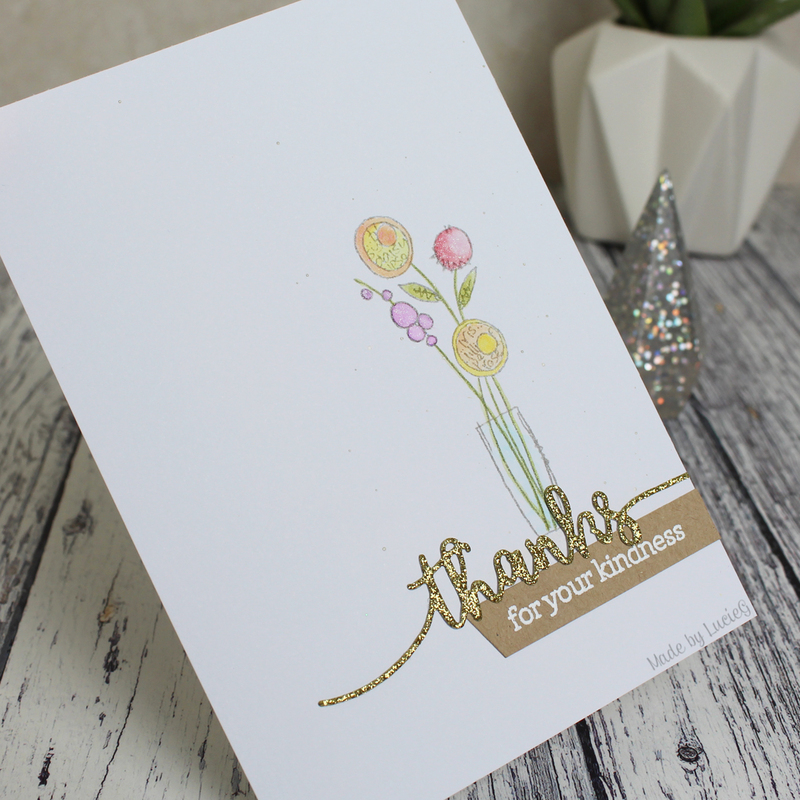 I splattered some paint lightly around the image and then added the stamped sentiment together with the die cut ‘thanks’. 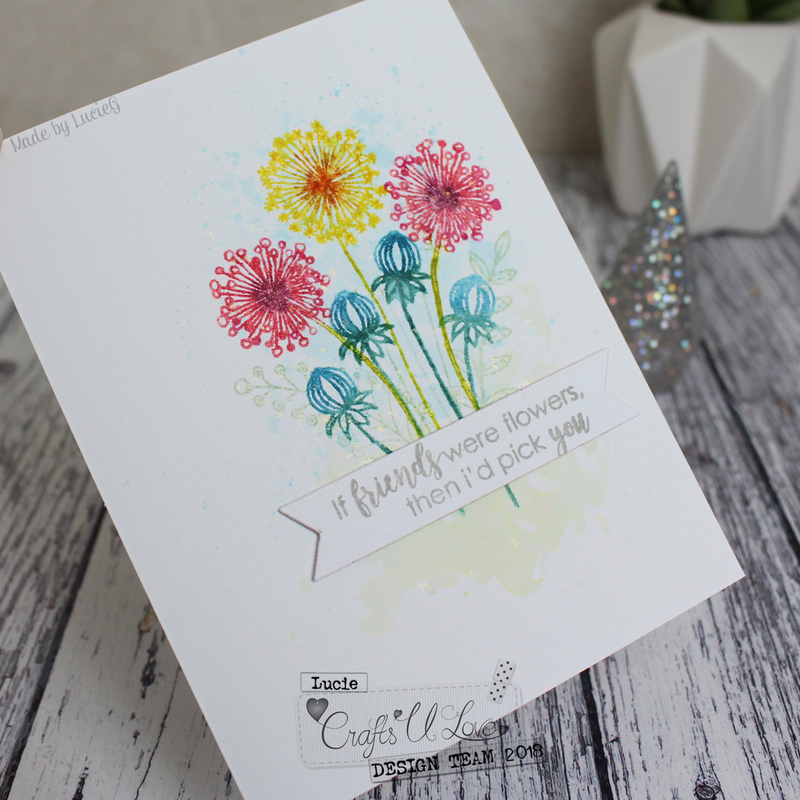 To finish off the card, I added some extra shimmer to the flowers using my Nuvo Aqua Shimmer glitter gloss aquabrush. 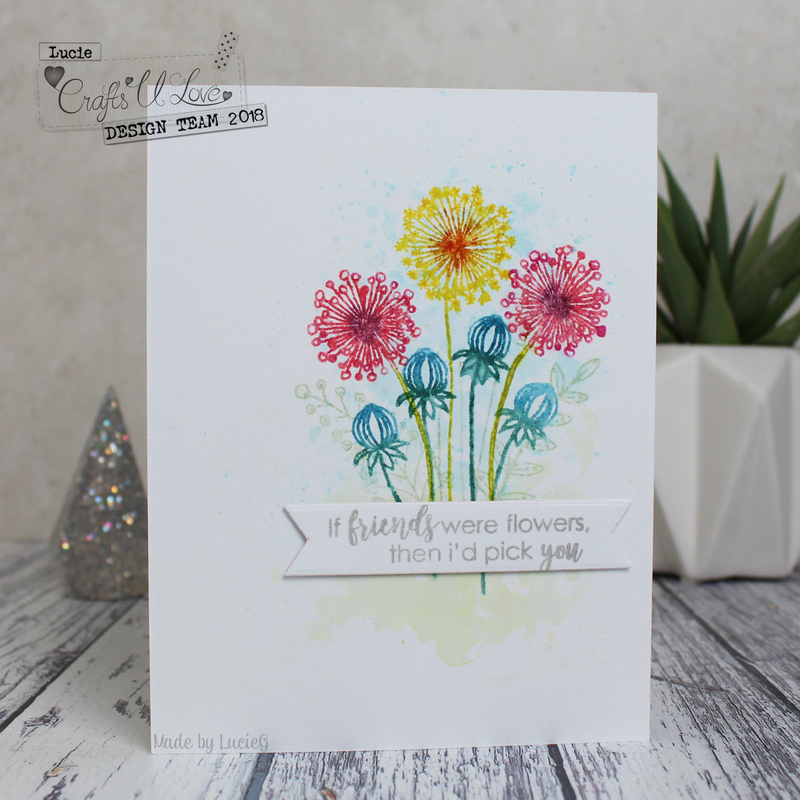 My teammates have shared some gorgeous CAS cards on the AAA Cards blog, together with our sponsor Shery from Stamplorations and the talented Trina from Phamtastic Design as our Guest Designer. Trina is a regular player winner (!) 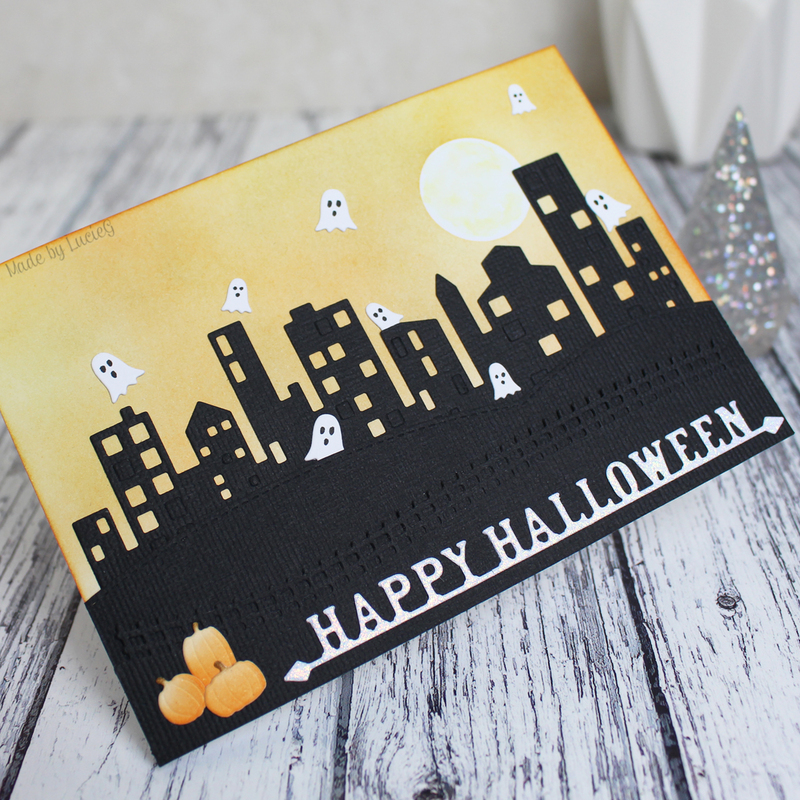 in our challenges – she has some beautiful CAS creations and wait until you see what she has come up with for this challenge! Stunning!